Following the first day of the “Lax For Autism,” the games were back and forth, the crowds were energetic, and there was a huge increase in awareness for autism. Before each game, shirts that correlated with every team playing were sold, food and drinks were provided, and raffle tickets were distributed for the chance to win brand new lax gear. The first game of the afternoon was between Sachem East and Northport. The first half was promising as it was a back and forth battle. The battle at the X was even and the goal scoring was balanced. Not until the second half did the tide switch in the favor of Northport. 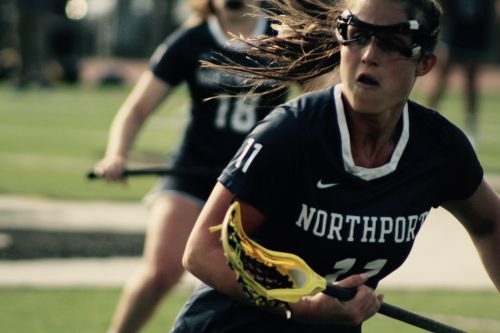 Northport began dominating at the faceoff X and in the scoring department. Number 27 on East, Jake Kelleher, asserted his dominance as he scored 4 goals in the game. He is an uncommitted junior who might be a hot recruit this summer season. He possesses great stick skills and unbelievable athleticism, it’s hard to think colleges might have missed on this kid. However, one kid can’t win a game on his own and Northport took advantage. Tim Brockwell stepped up the Tigers, going 4 goals and 3 assists, on the day. He controlled the tempo and gave his team a chance to start pulling away. After gaining a 4 goal lead early in the second half, they never looked back. Controlling the ball and being good in transition led to a big Northport victory. The final, 18-7 Northport. The Following game between Sachem North and Huntington proved to be the game of the night. The back and forth action did stop, the battle at the faceoff X was pretty even throughout the game. Cole Pillon and Jared Leake on Huntington and Ryan Voyt for North, made it a very interesting battle at the X all night. James Avenzado for North proved to everyone that he just might be one of the top players in the nation. 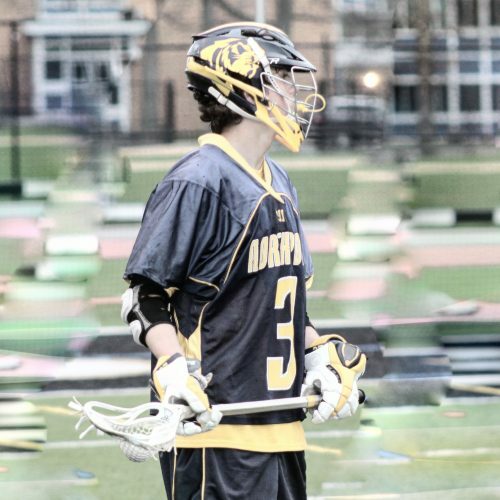 The Maryland commit put on a show with four goals and 3 assists. Normally a midfielder, Avenzado is the full package with smart play, speed, quickness, great stick skill, and unbelievable awareness. He was leaving defenders in the dust and making kids look silly. On top of that, North was great at controlling the pace of play when they were on offense. However, Huntington did not go away, solid teamwork and ball movement of offense led to a close game. In the end, North pulled away with a huge win thanks to Connor Griffin’s 5 goal performance. In front of a rowdy home crowd, North edged Huntington by a score of 13 to 12. Thursday, the second day of the Lax for Autism event, was just as exciting as the first. Raffles, food, apparel and more were on display once again. Thursday night was all about the girls and they made sure not to disappoint. The first game was between powerhouse Northport and Sachem East. Emerson Cabrera (Florida Commit) and Natalie Langella (Bryant Commit) on Northport were standouts and they both possessed a superstar quality. They both had incredible stick skills and accounted for almost every point scored for Northport. However, it wasn’t just those two that looked good for the Tigers. The entire Northport squad played like a well-oiled machine dominating on both sides of the ball. East showed some bright spots, especially from freshman Kristen Shanahan, who carried the team as much as she could. She’s a stellar athlete who does it all. Takes the draw, dodges, scores goals, and guards the best players on the other team. Goalie, Jess Serpe played will in the cage as well. After a convincing win, Northport stays undefeated and looks to be one of the strongest teams on the Island. 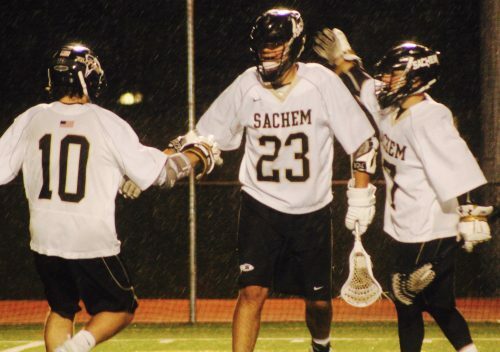 The final game was between Sachem North and Ward Melville. The first half, for the most part, was very balanced with Ward Melville gaining a slight edge. The battle in the draw department stayed neutral and the scoring stayed low. For the most part, the first half consisted of stellar defensive play and superb goalie performances by both teams. The game was played at a very fast pace with both teams pushing the ball in transition. Despite some fast paced play, neither team was having tremendous success in executing during transition opportunities. With patience and persistent offensive possessions, Ward Melville executed on their 7v7 chances and managed to take the lead at half 6-2. As for the second half, it was more of the same, a back and forth fast-paced battle. Ward Melville hung on to win in a nail biter 11-8. The Patriots didn’t have many stand-outs because of their team-oriented style of play. Their stat sheet was spread out, with over 9 different people scoring goals. That’s incredible when you think about it. After the game, Hannah Lorenzen, who was the offensive String King Player of the Game for Ward Melville said, “we try and build each other up. We offer constructive criticism to one another. We are always looking to pass and cut through, pick, and really emphasize the simple things that work into our game plan.” Hannah scored two goals on the day and helped propel her team to a quality win over Sachem North. Overall, the Laxin’ For Autism event was a great experience for everyone involved. There was some tremendous competition on the field, the communities contributing to the event were very supportive, and the vendors did a great job raising money for a great cause. FLG Lacrosse is privileged for the opportunity to be a part of the 2nd annual Laxin’ For Autism event. We look forward to supporting the cause again next Spring! Rising Seniors are the most physically and mentally developed High School athletes going through the recruiting process. Also, rising Seniors are closest to stepping foot on a college campus. College coaches have an easier time projecting rising seniors, as opposed to rising juniors, sophomores, or freshman. 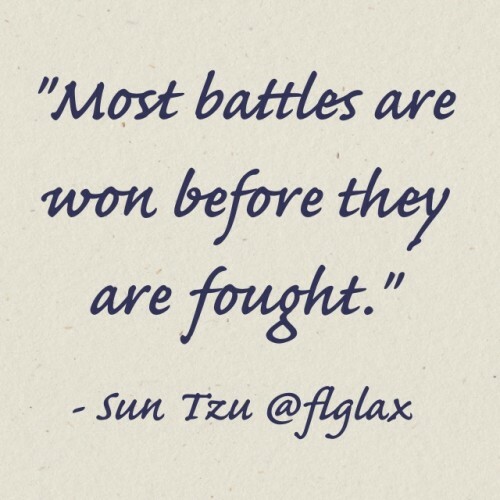 At FLG Lacrosse, we run one of the most competitive individual showcases for rising Seniors. We understand the importance of getting rising senior’s exposure. Our Premier Showcases bring in some of the best schools from around the country that are all still looking at the 2018 graduating class. Are you unsure if you want to play in college? If that’s the case, don’t worry, you’re not alone. Despite the uncertainty, it’s still important to proactively network with college coaches and attend recruiting events to come Summer of 2017. It’s important to keep the door open and develop relationships with college coaches going into your senior year. Fostering relationships with college coaches gives you a unique advantage. College coaches have a lot of valuable information about their schools. They can educate lacrosse recruits on their student body, the size of the school, financial aid packages, academic grants or scholarships, and much more. This recruiting process shouldn’t be just about committing and playing in college. It should be a continuous educational process that includes learning about all the amazing schools, conferences, and coaches out there! Are you fed up with the recruiting process? I’ve spoken to numerous parents and rising Seniors who are fed up with the process. Attending poor events, not getting the exposure you expected, playing on teams with favoritism can all be contributing factors. Don’t let one or a few bad experiences stop you from pursuing your dreams. There are lots of great events and showcases out there to help get you exposure. Before attending an event, be sure to get a reference from someone who attended in the past. If you don’t know anyone who attended, call the event directly. If they don’t pick-up the phone or answer your email, that’s a red flag and you should move on somewhere else. Do your research, see what looks appealing online, and try to attend events with a good reputation. Do you feel all college programs already have their recruiting classes set in place? If you look at the top Ten Division I programs, that might be true. If you are looking at all collegiate lacrosse programs, that simply is not the truth. In fact, over 90% of NCAA Collegiate lacrosse programs are still recruiting the 2018 class. Therefore, there is so much opportunity out there for your class. Go into this summer with an open mind. There is more opportunity out there than you think. Be open to not only building new relationships, attending events, and pursuing your dream schools this summer, but also be open to pursuing new opportunities you never thought about before. Only looking at Division I schools? Time to start connecting with Division II or Division III schools. Only looking at schools with big-time football programs? Start to consider schools with other big time sports where you can still get that ‘RAH-RAH’ experience. Your interests can change not only from year to year but month to month. So, find something that works for you at this moment. We are only 6 weeks away from the summer recruiting season! If you are experiencing any sort of angst during this process, let someone at FLG let you realize there is hope and there is an opportunity out there for you. Let us guide you in the right direction and hear your story. We want to hear from you, not your parents. This is your process and this is your future. To set up a call with myself or another FLG Director, simply click the button below and schedule a time to talk! We are here to answer questions, guide you through the process, and give you an opportunity. If we don’t have the answers, hopefully, we can find someone else who does. FLG Welcomes 6 Awesome People to Staff! FLG Lacrosse, a Long Island based lacrosse teams, training and events company, welcomes 6 awesome people to the staff! This article takes you through each person’s bio, words from the Program Director, and the roles and responsibilities that will be taken on by our new hires. FLG Lacrosse welcomes Eric Dunne as new Boys Director! Eric Dunne has been coaching with FLG since 2013. Going back in Eric’s lacrosse career, he captured 3 America East Conference Championships as a studlete at Albany University. After graduating for the Danes, Eric coached for Suny Potsdam and Molloy, which are Division III and II collegiate programs. After his run as a college coach, Eric started the Hot Shotz Youth Lacrosse Club while coaching as a Varsity Assistant coach at Wantagh High School. Eric then moved on to Farmingdale, where he currently teaches and coaches Varsity Lacrosse. In 2011, Eric won a Class A New York State Championship coaching with Farmingdale. Today, Eric still coaches Varsity men’s lacrosse at Farmingdale and works for FLG’s rising Freshman team. FLG Lacrosse is excited to announce that Bob Schmitt will be a new Girls Director for FLG! Bob Schmitt played two seasons (1982-83) at SUNY Cortland, where he helped lead the Red Dragons to the 1983 SUNYAC Championship. Schmitt graduated from Cortland in 1985 with a bachelor’s degree in history. After Cortland, Schmitt earned his master’s degree in history at Stony Brook University in 1988, and then achieved his New York State Teaching Certification in 1989 from Dowling College. In 1989, Schmitt broke into coaching as an assistant junior varsity boys lacrosse coach at Northport High School. For the past 15 years, Schmitt has been coaching lacrosse at progressing levels. Since 2009, Schmitt has served as co-director and co-head coach for the Long Island TOGZ Girls Lacrosse Club. Schmitt has developed dozens of players that have gone on to play at the NCAA Division I, II and III levels. Today, Bob is the Assistant Women’s Varsity Lacrosse Coach at Suny Old Westbury. FLG Lacrosse welcomes Rory Sadoff as new Administrative Director! Rory grew up in Massapequa, NY on Long Island and graduated from Massapequa High School. A 4-year starter in lacrosse, Rory was also the captain of the Massapequa Women’s Lacrosse team her junior and senior years. In her senior year, Rory received All-County accolades. Rory is a recent graduate of the University of Massachusetts-Amherst, where she got her Bachelor’s Degree in Kinesiology & Exercise Science. At UMASS, Rory was a 3-year member of the Varsity Women’s Lacrosse Team. During her time on the team, the UMASS Women captured 3 Atlantic-10 Conference Championships. FLG Lacrosse welcomes Stephen Jahelka as new Coordinator of Strategic Partnerships! Stephen Jahelka currently serves as the Coordinator of Strategic Partnerships for FLG Lacrosse, Inc. Prior to FLG, Stephen was a two sport standout athlete at Garden City High School, earning 1st Team All State Honors in Football in 2009 and 2010 in addition to being a two time 1st Team Athletic and Academic All American on the Lacrosse field. His success at Garden City led him to continue his career at Harvard University, where he was elected team captain by his teammates for his Junior and Senior Seasons. He was also listed on the prestigious Tewaarton Award Watch List heading into his Senior season. Stephen graduated from Harvard with 3.6 GPA and a B.A. Degree in Economics. FLG Lacrosse welcomes Chris Leahy as new Director of Camps! Chris Leahy is a business teacher at General Douglas MacArthur Senior High School. MacArthur High School’s business program is in-depth and offers students opportunities to explore future business options. Chris guides students to pursue paths in the areas of business ownership and marketing, computer programming and applications, digital media production, introduction to business, marketing principles and practices, personal money management, sports and entertainment management and web design. Chris has been coaching lacrosse on Long Island for the past 16 years. For 12 years, he was the head coach of the MacArthur’s Junior Varsity Boy’s lacrosse team. Currently, he is the head coach of Wisdom Lane’s Middle School lacrosse team. Chris also is the assistant coach of the 7th grade football team at Salk Middle School, is the head coach of the Girl’s Varsity bowling team at MacArthur High School, and is head coach of the Boy’s volleyball team at Wisdom Lane Middle School. Chris volunteers his time as coach for the Challenger basketball team at Wisdom Lane which provides sporting activities to students with special needs. Chris grew up in East Meadow where he played football and lacrosse at East Meadow High School. He continued to play lacrosse in college at SUNY Oswego and at Marist College. Chris received his undergraduate degree from Marist College in Business with a concentration in Marketing. After graduating from Marist, Chris receive his Masters Degree in Secondary Education from Dowling College and a Masters Degree in administration from Stony Brook University. Chris currently lives in Bethpage with his wife Jackie and their two children Brianna and Michael. 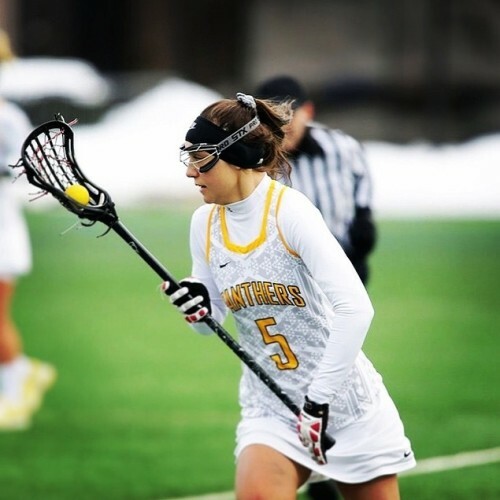 FLG Lacrosse welcomes Robyn Pastuch as new Girls Recruiting Coordinator! From 2001 to 2004, Robyn Pastuch had a stand out High School lacrosse career. She was a four-year starter at Calhoun High School, finishing her career with 366 points. She was the top scorer on her lacrosse team in both her junior and senior years, receiving Academic All-American in 2004. During her Sophomore, Junior, and Seniors years, Robyn receive All-county honors. After graduating from Calhoun in 2004, Robyn went on to become a four-year member of the UCONN Women’s Varsity Lacrosse Team. In her freshman year, Robyn’s team were the ECAC Champions. After graduating from UCONN in 2008, Robyn went on to pursue a Master of Arts in Physical Education Teaching and Coaching at Adelphi University. At Adelphi, Robyn coached the Women’s Varsity Lacrosse team to a NCAA Division II National Championship. After getting her Masters, Robyn taught 2 years at the Garden School. Developing physical education curriculums for all classes within the school. 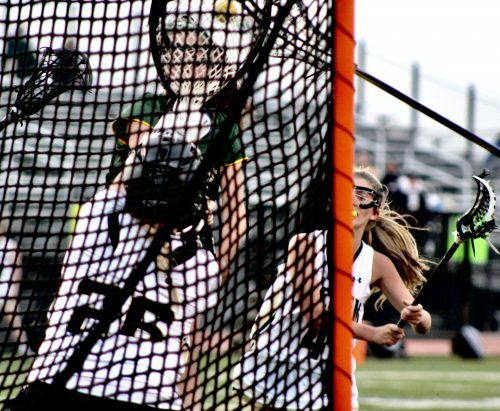 After spending one-year as a Special Educaiton Paraprofessional within the Bellmore Merrick School District, Robyn went on to pursue a full-time position within FLG Lacrosse. Today, Robyn is teaching Physical Education with the Hewlett-Woodmere UFSD and Girls Recruiting Coordinator for FLG Lacrosse. The FLG Premier Showcase is a one-day showcase event held at LIU Post – Long Island University, Brookville, Long Island, for the top rising freshman, sophomore, junior and senior lacrosse players. FLG Lacrosse has put together a highly competitive and fun weekend for 3rd through 8th grade teams. Some of the best young talent from the tri-state area and east coast meet at Mitchell Field to kick off the Summer Lacrosse Season. The FLG Big Ten Classic is a team recruiting tournament with the top club teams in the nation competing against one another in front of college coaches. The FLG Boys Legit Showcase is a two-day showcase event for the top rising freshman, sophomore, junior and senior lacrosse players. 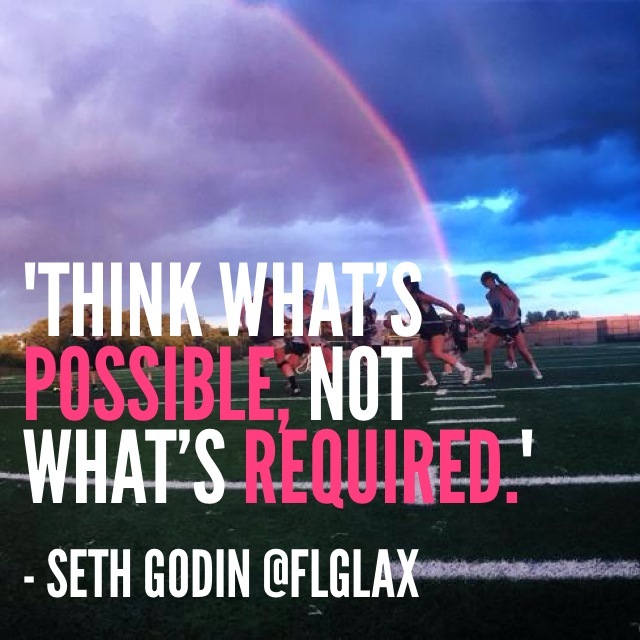 FLG Lacrosse was founded on the goal to get boys and girls across Long Island to fall in love with the sport. At FLG Camp, a one-week summer day program, campers experience a fun, creative opportunity to work on fundamentals and skills in an encouraging and positive atmosphere. Two of the country’s premier lacrosse clubs, 3d Lacrosse (CO) and For the Love of the Game (NY), have joined forces to present the FLG in 3d Shootout which will be held at the beautiful Maryland Soccerplex July 15 – 17, 2016. Top club teams from different regions of the country will spend a weekend competing against each other in a high-level tournament that will include college coaches from Divisions I, II and III, All-Star Games in each recruitable division, vendor village, and a quality tournament in beautiful surroundings. FLG Lacrosse tryouts are designed to select the best talent. The drills used in the tryouts are from the FLG Lacrosse Curriculum and are intended to test the player’s ability to make decisions in different aspects of the game. Our highly knowledgable evaluators and coaches assist in the selection process. Tryouts for our the 2017/18 FLG Select Teams will be during August of 2017. It’s not just what you do on the field that matters. While training and skill building is vital to success on the field, there are things you can be doing, right now, off the field that will pay off big time down the road. The more they expand their world, the more they grow as individuals and as athletes. Once you enter high school, it’s time to start building a dynamite resume. Even if you impress college recruiters on the field, they still want to see an impressive academic resume. Train. Learn what you can improve. Find a routine and stick to it! Be a proactive participant in the recruiting process. Utilize an online recruiting platform to build a quality online recruiting profile. FLG Lacrosse uses the company Lacrosse recruits to build an online recruiting profile, research schools, and connect with coaches. Focus on HS academics! Get off to a great start! Notify coaches of your Fall Club Schedule, Spring High School schedule and Summer tournament or individual recruiting schedule. Make sure they have your highlight film. If you haven’t already verbally committed to a school, narrow your school list to those you’ll apply to. Understand early admission deadlines and options. Remember, you are choosing the school. Get inspired! See other studletes who are on the path to success. 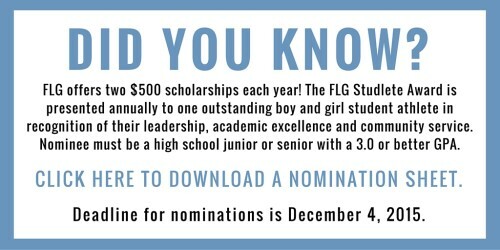 Click here and follow FLG on Instagram. Remember, success is a path you follow step by step. This one is so hard, I don’t think I have one. Ever since I was young, I have been surrounded by teachers. Numerous people in my family are involved in the education program, and I have inherited the same interest! I’ve wanted to be a teacher ever since I was little. My role model is my older brother Stephen. He truly defines the words perseverance and hard work. I am so lucky to have someone like him to look up to and to aspire to be like. What was your favorite thing about playing lacrosse in college? The memories and friendships I have created with my teammates. What is your favorite thing to do when you’re not playing or coaching lacrosse? I enjoy playing tennis, reading and spending time with my family and friends. Any show on the Bravo TV network, specifically the Real Housewives of Orange County. Winning back to back Division 2 National Championships!!! Did you have any pregame rituals? I don’t have any pregame rituals, but during the game I always have to play with either a scrunchie or bow in my hair. Unfortunately, I would have to say my cell phone. What would the world be like without you? 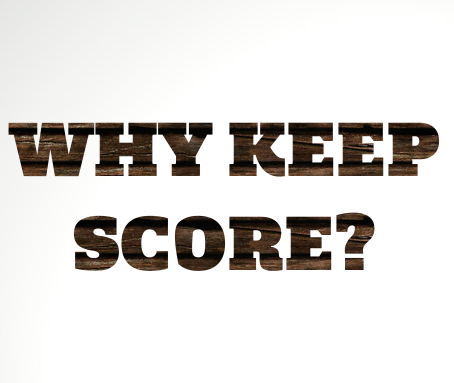 Why do we keep score during youth sporting events? Keeping score in youth sporting events shouldn’t be to determine who is the best team. Keeping score in youth sports isn’t so the coach of the winning team can now brag about how their team went 54-o last summer. Keeping score isn’t so youth coaches can coach their teams to win games, as opposed to teaching their teams to grow as individuals and athletes. Keeping score allows you to track the progress of your team. What was the score against the Black Glacier Velociraptors in game 1 compared to game 10 of the season? Keeping score breads competition. Competition is a healthy way to get kids to play harder and works towards goals. Keeping score gets kids to learn how to maintain a positive attitude when faced with adversity. If your team is down 7 goals at half time, how can we bounce back? Keeping score gets kids to understand situations. If your team is down a goal and you have the ball with 20 seconds left, what now? Keeping score allows league or tournament directors to gauge which Division or Conference your team belongs. We went 9-0 last season in Division II. You think it’s time to play in Division I? Parents & Coaches, let’s not forget why we keep score. It’s your job to teach your kids that numbers should be used to track progress, breed a competitive spirit, and understand real life situations. For this week’s motivational quote, we focus on the idea of preparation. When preparing for a game, exam, or interview; it’s important to focus on the opponent your playing, the test your taking, and the company your looking to get a job for. However, don’t get too caught up in learning about everything or everyone else. Don’t forget about what motivates you. Don’t forget about what makes you tick. Don’t forget to prepare yourself. Once YOU can prepare and compete consistently at a high level, than you can start helping, teaching, and worrying about everyone else. 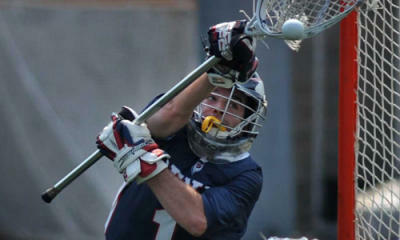 Greg Murray was the captain of the University of Pennsylvania Men’s Lacrosse team when I was a sophomore. He was the definition of a leader. One game, Greg was pulled from his starting role as goalie of our team. He was replaced by none other than a freshman. Despite losing his starting job to a freshman, Greg was still the first person to motivate the team during time-outs. He understood that his role on the team was much great than stopping shots. His role was to be a great motivator, teammate, and leader. To this day, I work to develop young studletes into becoming teammates such as Greg Murray. I hope you enjoy a great article, written by a great leader. Greg Murray’s blog article for FLG can be found – here! When your up against a task or test in life, there are certain requirements that must be met to complete that task or test. If you fail to meet those requirements, you lose points and possibly fail. If you work hards towards meeting those requirements, whether it be the first time or a second time, then you pass. Pass or fail, win or loss, what’s next?